Constantine Balanis (center) along with a team of researchers from Arizona State University and the King Abdulaziz City for Science and Technology based in Riyadh, Saudi Arabia are working to develop and advance basic research in electromagnetic artificial magnetic conductor surfaces. The teams were introduced to each other’s institution in a kick-off meeting in February. Photographer: Marco-Alexis Chaira/ASU. When pilots need to send or receive radio communications and radar information, they expect those signals to be clear and recognizable. The same is true for many aircraft and ground vehicle operators who rely on electromagnetic signals. Antennas and electromagnetic-based signal transmission, however, can encounter problems when the radiating elements, or antennas, are mounted on metallic surfaces — which are what most vehicle structures are made of. Signals are not radiated or received efficiently when antennas are placed horizontal to a flat, metallic surface, and electromagnetic waves can reflect off these surfaces back to their source. Artificial magnetic conductors, called AMCs for short — a type of surface that doesn’t exist naturally and exhibits unique electromagnetic properties — provide a possible way to overcome some of these antenna and electromagnetic scattering issues, says Constantine A. Balanis, Regents’ Professor of electrical engineering at Arizona State University’s Ira A. Fulton Schools of Engineering. Balanis, as ASU principal investigator, is partnering with the King Abdulaziz City for Science and Technology based in Riyadh, Saudi Arabia, to develop and advance basic research in electromagnetic AMC surfaces. “KACST is the leading Saudi Arabian National Center for Science and Technology with interest and resources in the development and advancement of electromagnetic- and radar-related technologies,” Balanis says. As part of this two-year, nearly $1.05 million project funded by KACST, Balanis and his research team aim to develop, advance, fabricate, measure and validate unique designs of electromagnetic AMCs. Graduate Research Assistant Mikal Askarian Amiri is one research team member working to design electromagnetic AMCs to overcome the problems of antenna placement on flat, metallic surfaces. “Along with other graduate research assistants in Dr. Balanis’s research group, I am currently designing and fabricating novel AMCs with unique patterns so that antenna elements placed on or near them lead to efficient radiation and enhance the total efficiency of wireless communication systems,” Amiri says. These patterns come in the form of a checkerboard of metallic patches in unique designs, which are then placed on dielectric-covered metallic surfaces, commonly known as printed circuit boards, to mechanically support and electrically connect electronic components of the communication systems. Electromagnetic AMC technology will help in designing futuristic ground-based and airborne radar platforms due to its increased efficiency and beneficial properties. “Such surfaces can also potentially be used in commercial automotive radar for lane-change indicators and parking assistance,” says Graduate Research Assistant Sivaseetharaman Pandi, who will analyze and design radiating surfaces, simulate them, fabricate prototypes, and test and compare the designs. A kick-off meeting in February introduced the Fulton Schools and ASU to the KACST team, which included KACST Project Manager Turki A. Alanazi, KACST Principal Investigator Hussein Nasser Shaman and KACST Chief Engineer Waleed Abduaziz Alomar. 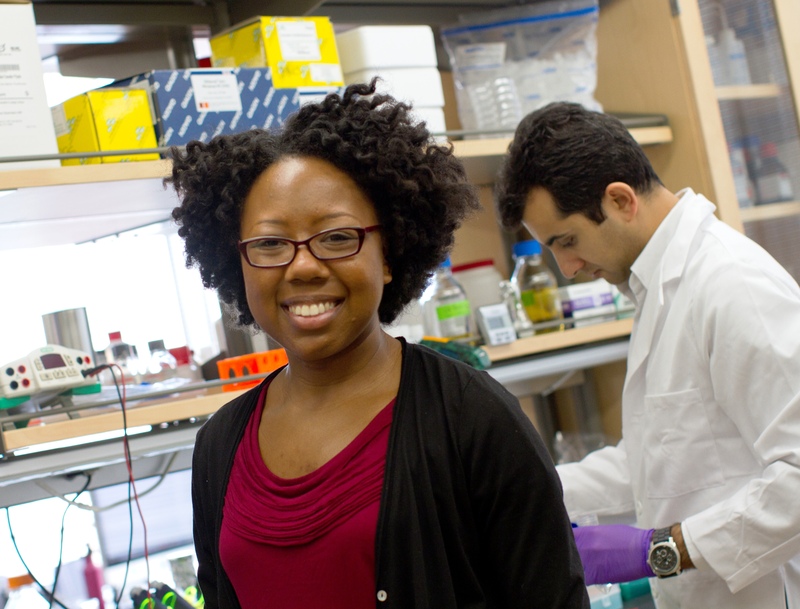 This far-reaching partnership contributes to the Fulton Schools’ goal of global impact from its research. Balanis is eager to work with KACST researchers and pursue the opportunity this partnership presents for future projects. 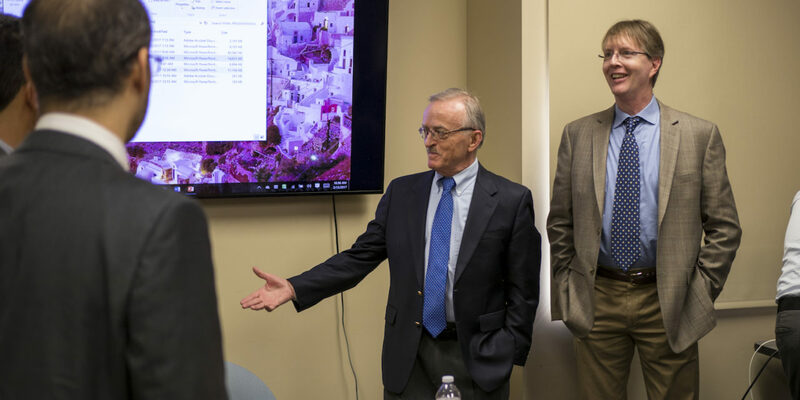 “I look forward to hopefully even expand research and education activities beyond this project between ASU and KACST and with other institutes and universities in the Kingdom of Saudi Arabia,” Balanis says. He thinks the KACST team members enjoyed visiting campus and learning about the university. 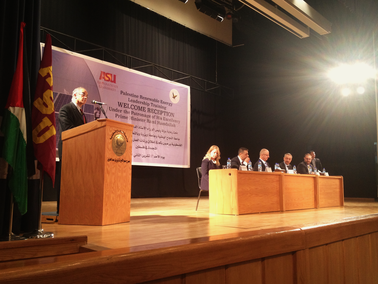 “I think they were very impressed with ASU and, in particular, its overall mission and activities in global research and education,” Balanis says. 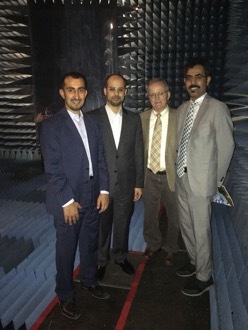 As part of the visit, the KACST team toured ASU’s ElectroMagnetic Anechoic Chamber, or EMAC, experimental facility, one of the largest university-based, state-of-the-art instrumented anechoic, or echo-free, chambers in the U.S.
For the KACST project, they will work closely with Associate Research Professional Craig R. Birtcher, who manages and operates the ASU EMAC facility. He will use his more than 30 years of experience at the facility to train and help graduate students and KACST personnel to perform precise and consistent antenna and electromagnetic scattering measurements. KACST Chief Engineer Waleed Abduaziz Alomar, KACST Project Manager Turki A. Alanazi, ASU Principal Investigator Constantine A. Balanis and KACST Principal Investigator Hussein Nasser Shaman tour the ASU EMAC experimental facility during their February visit. Photo courtesy of Constantine Balanis. The 2,200-square-foot space is lined with radiation absorbing material to reduce echoes of test electromagnetic signals inside. Balanis and his research team use this facility as a controlled environment to test designs of antennas and scattering surfaces. 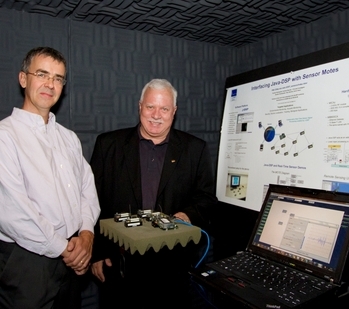 From their leading-edge research findings, Balanis hopes to educate and train students and KACST personnel in this new area of antenna and electromagnetics technologies. “This partnership, in addition to the development and advancement of rapidly evolving and expanding electromagnetic AMC technology, will educate and train engineers and scientists, including from the Kingdom of Saudi Arabia, thus expanding the global diversity of ASU,” Balanis says. He also aims to educate the wider scientific community and increase international interest in this field of study through articles in peer-reviewed journals and presentations at international conferences, symposia and forums. Balanis has more than 30 years of experience teaching online and distance-learning courses, that also feature face-to-face presence of students in a classroom, a teaching method that can benefit learners across the United States and internationally. 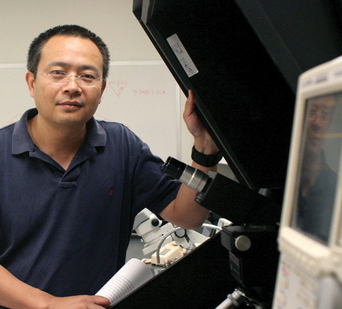 That experience will help him educate an international audience about electromagnetic AMCs, and advance ASU’s electromagnetic-related technologies and education capabilities.